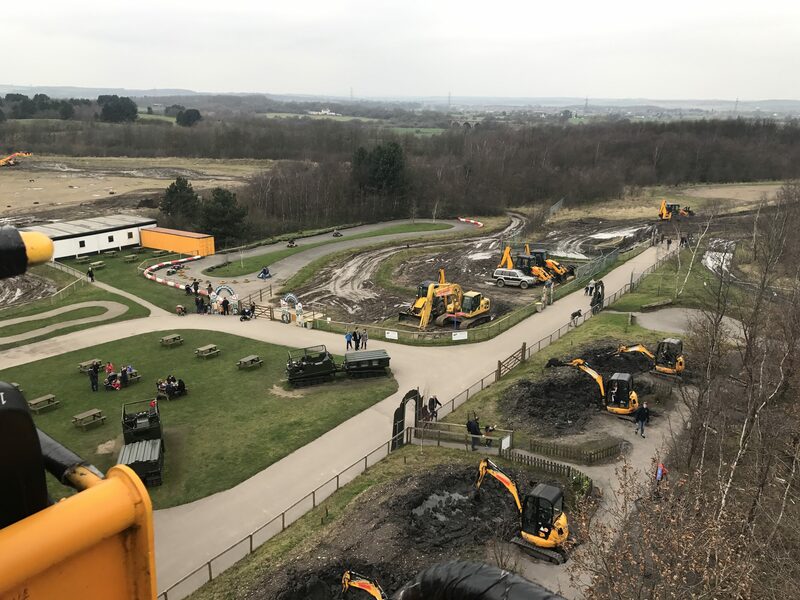 My Husband has been wanting to go to Diggerland for years, turns out so had my brother-in-law, so with the help of my sister-in-law, I hatched a plan to have a family day out around both their birthdays. You can see from the pictures that it wasn’t July! We packed up on a dull but dry day in March excited but curious as to what to expect. 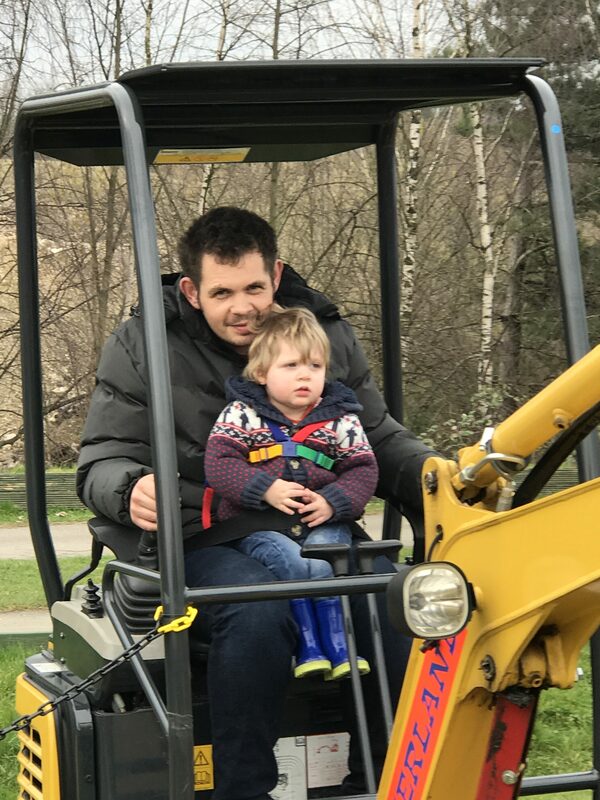 I had read mixed reviews about taking toddlers, people saying that there wasn’t much for them to do so I was a bit apprehensive. Of course, we knew that the Daddies would have a great time! 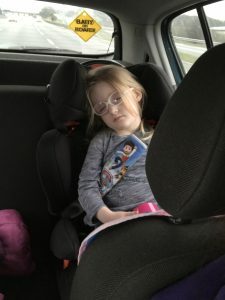 I went online the night before and asked the mumblers for advice – wellies was the main suggestion (oops mini mumbler’s wellies are at school so a mad dash to supermarket needed!). 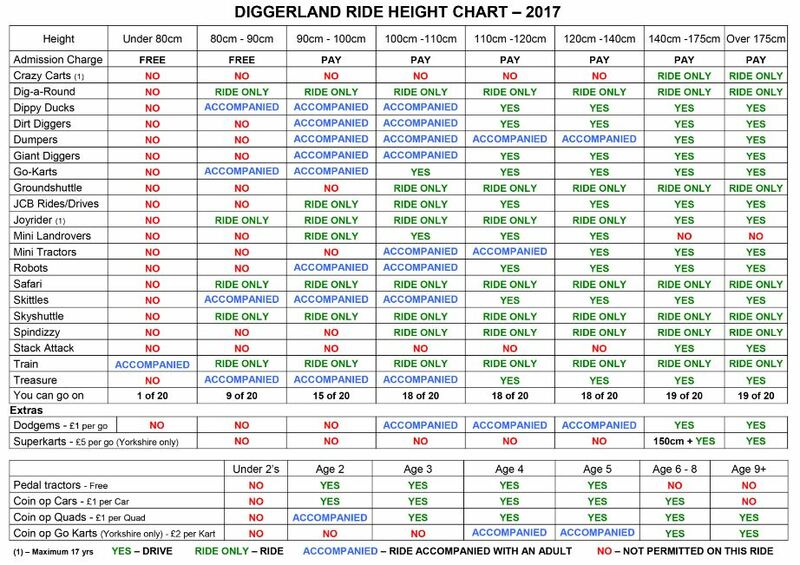 I also looked at the website and found lots of information about the various height restrictions, this was really helpful for us to plan our day. 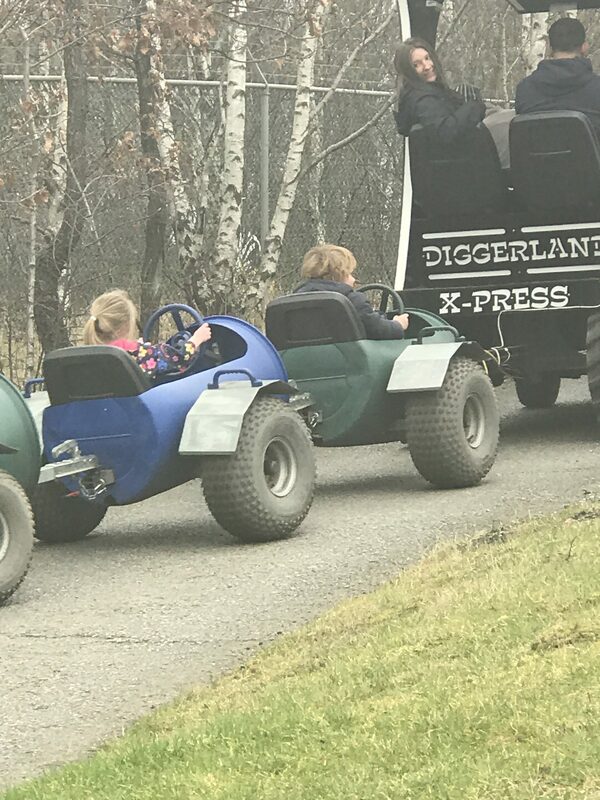 We took a tall four-year-old, a tall three-year-old and an 18month old. The signage and height charts around the park are great so don’t worry if you forget! On arrival, we were greeted by Duggy and Dotty, mini mumbler loved this. 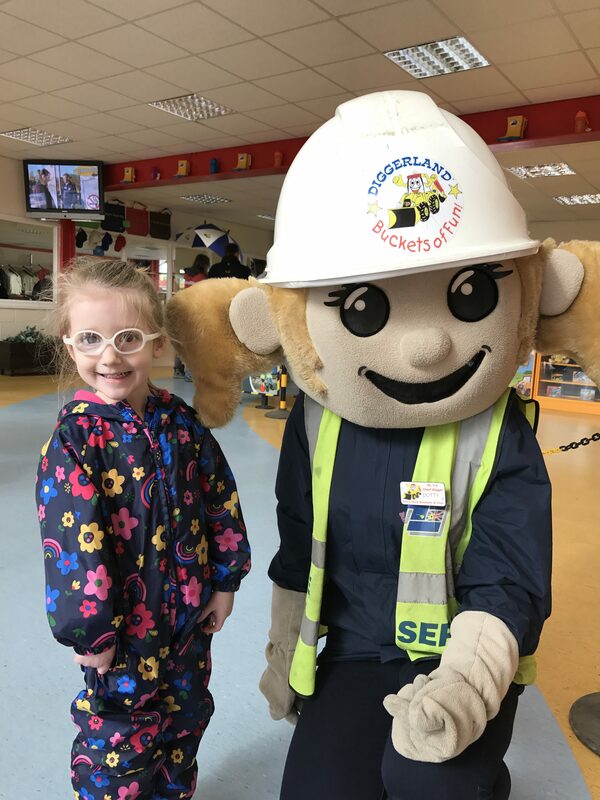 Our nephew has autism and finds going into new places challenging, he wasn’t so keen on the mascots but Duggy and Dotty quickly realised this and kept out of his way- which we really appreciated. Same with the hand stamping, the staff were really understanding that he didn’t want a stamp so we made it through the door without any meltdowns (already the makings of a successful family outing!). 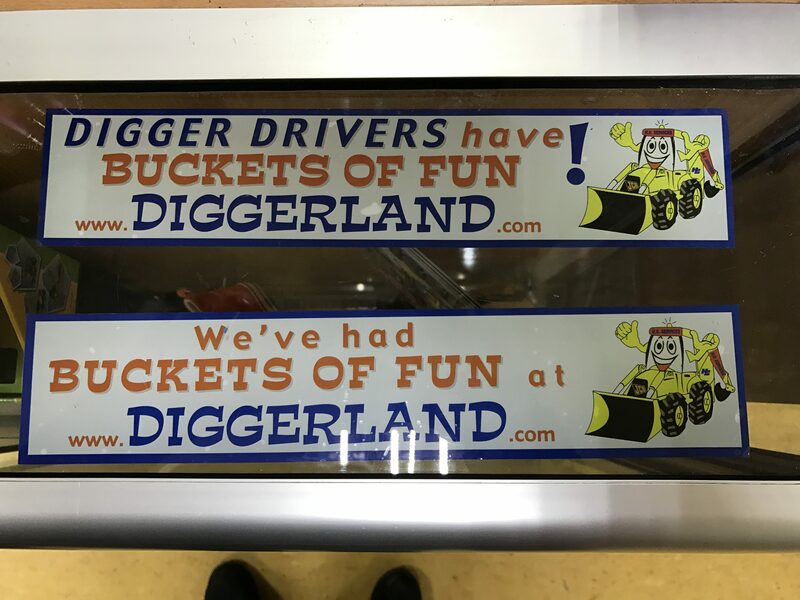 One thing I just have to mention, whilst paying to get in we saw that Diggerland sell wellies, and they are cheaper than the supermarket ones if only I had thought the night before! There were lots of rides and activities that we could go on as a family, or parent and child. Even a few that the pre-schoolers could go on their own. You do need to use your own judgement though, especially if you have tall children! 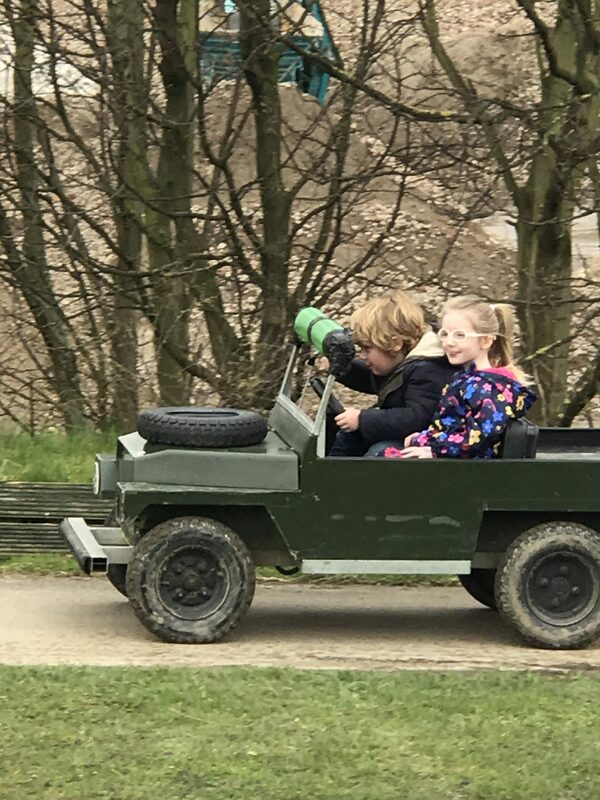 Mini Mumbler didn’t have a clue with the mini land rovers, luckily her cousin had confidence, even if his skills were a little lacking at the start. Hilarity ensued as he drove off road a number of times! He got the hang of it, in the end, they both loved being a bit independent and being off on their own, even though we were just feet away in fits of laughter. 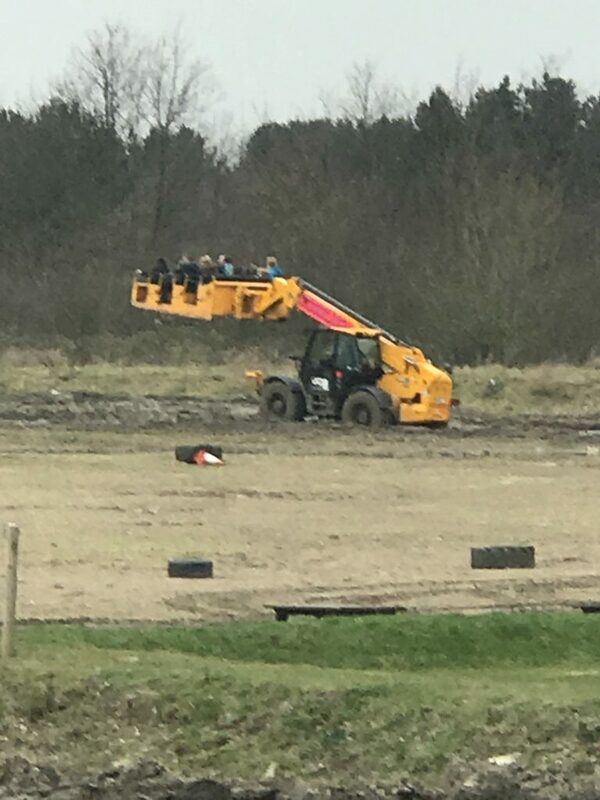 We had a great time knocking down the skittles, playing hook a duck and driving around the tracks in various trucks but I could sense the Daddies were craving something a bit bigger! We didn’t take a picnic although there are places that you can sit and eat your own food. We went for the full experience and went to the café. 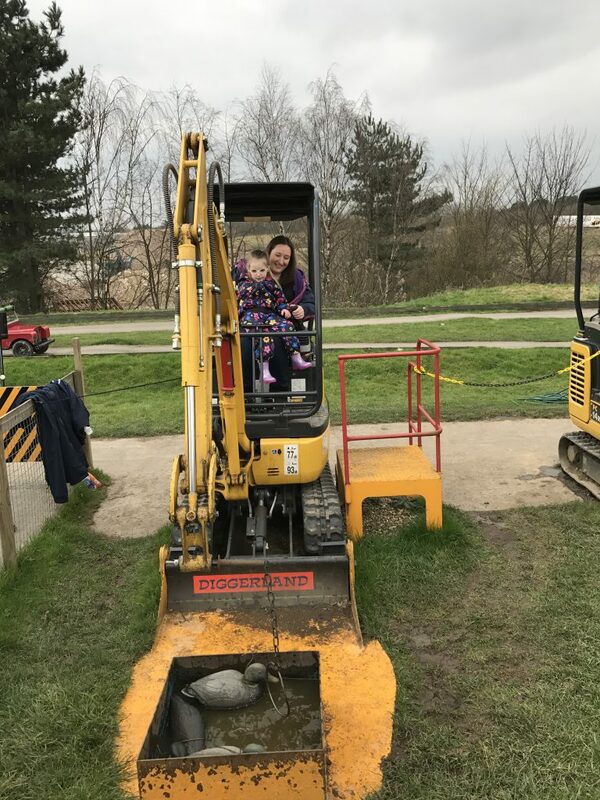 The café isn’t actually run by Diggerland it’s a private company, we found this out as we went to pay with card and even though we paid entry on card we couldn’t pay for the food on card (you’d think we would’ve bought cash? But we didn’t) luckily my husband went out and got some cash so that we could feed the famished three-year-old. It’s no major problem but it would’ve made our lives easier if they accepted card payments. I would advise you to take cash just in case! The toilets in the café and park were clean and well stocked with essentials. 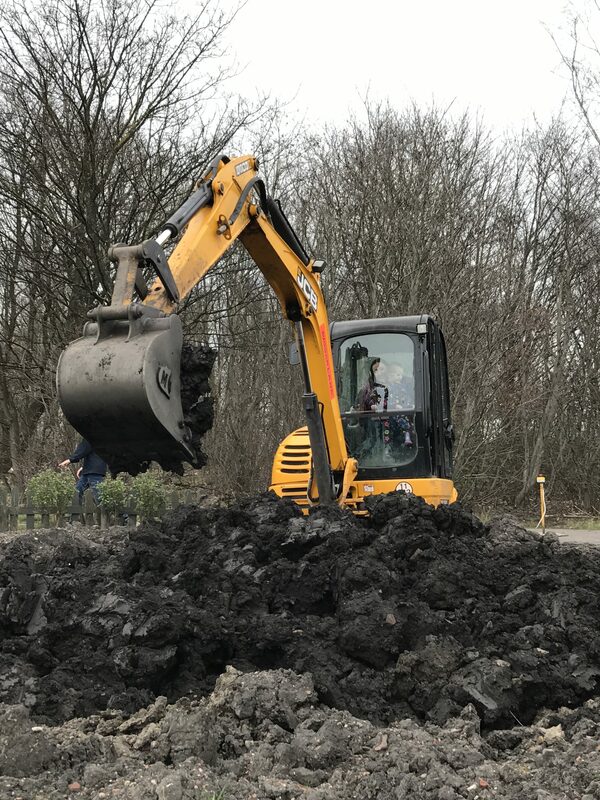 The only thing that would have helped would be step-stools and children’s toilet training seats, any parent with young kids using the toilet breathes a sigh of relief when they see these provided, although they rarely ever are! From there on we got a little more adventurous, by this point, the two older kids were in their element, even the preschoolers were happy and having fun! 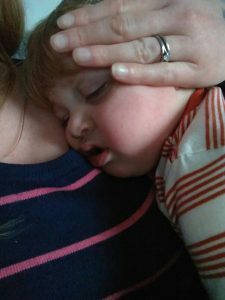 The 18month old was getting a bit twitchy at times, there were things he seemed desperate to go on but couldn’t, even with an adult. 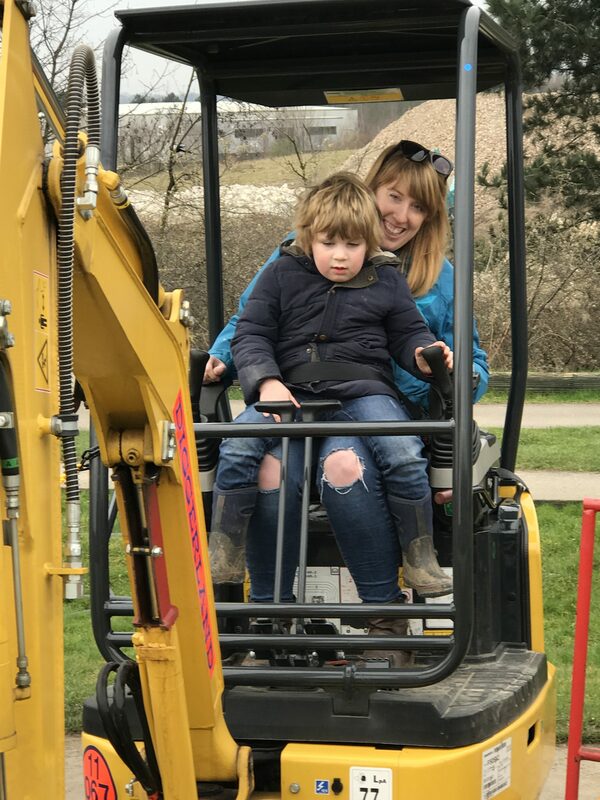 Although I understand the obvious need for health and safety it was a shame as we think he would’ve been fine with his dad on some of the attractions. 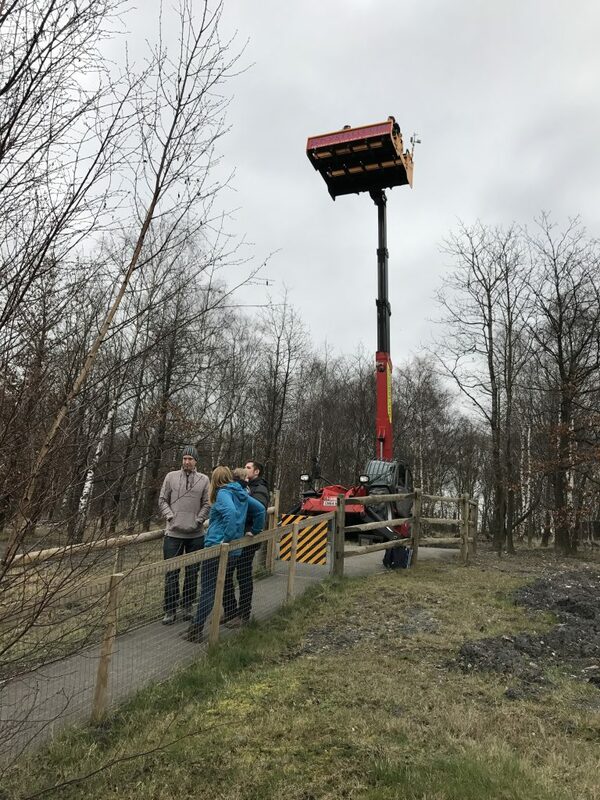 We decided to all go on the Skyshuttle, it was a little bit scary but we all made it up and down without any tears and the view really was worth it! 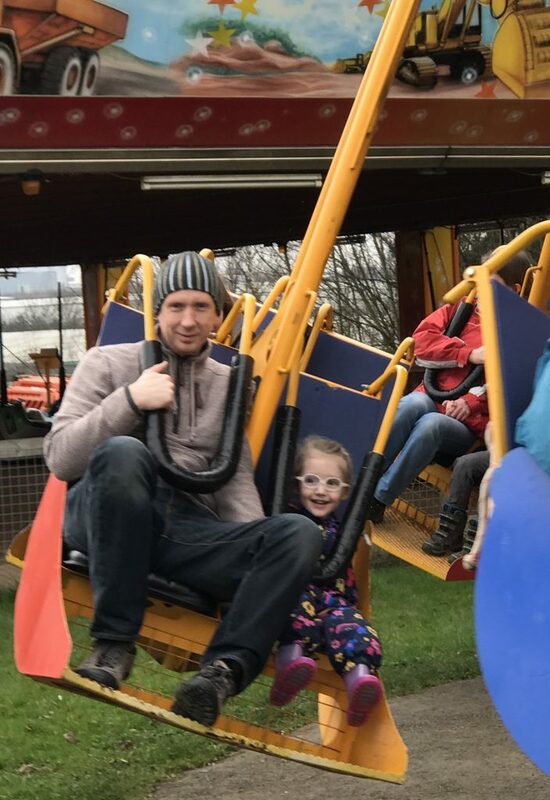 My Sister-in-law took our nephew on the Groundshuttle, the rest of us decided not to and although she had fun she admitted that it perhaps wasn’t really the best ride to take the little one on- he was a bit frightened. 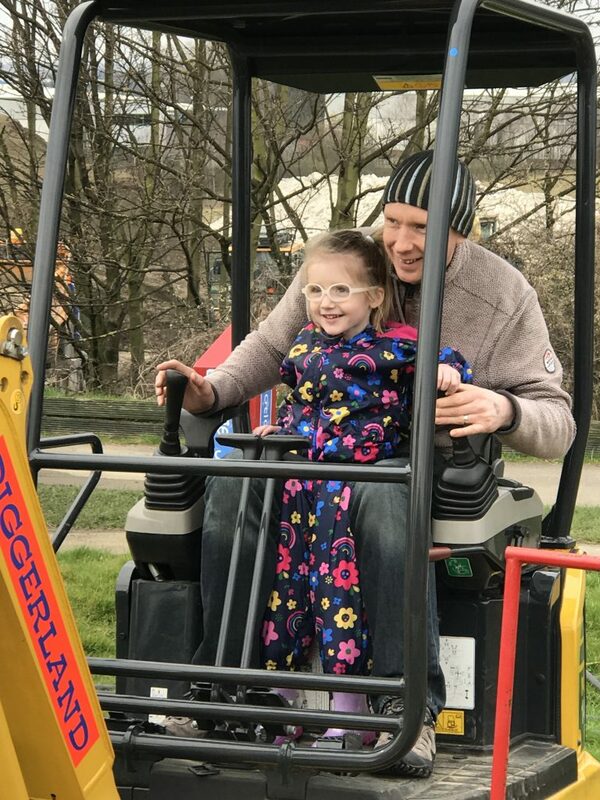 That’s not to say other four-year-olds wouldn’t love it, you know your own children – I knew that it would push mini mumbler too far! 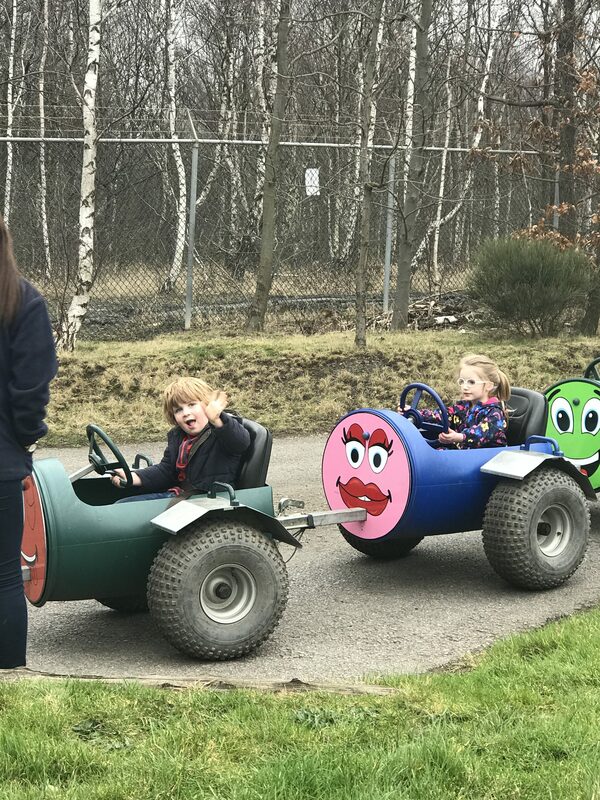 A barrel ride later and a fairly long spell in the soft play and we were almost ready for home, perhaps one last ride on the mini land rovers? 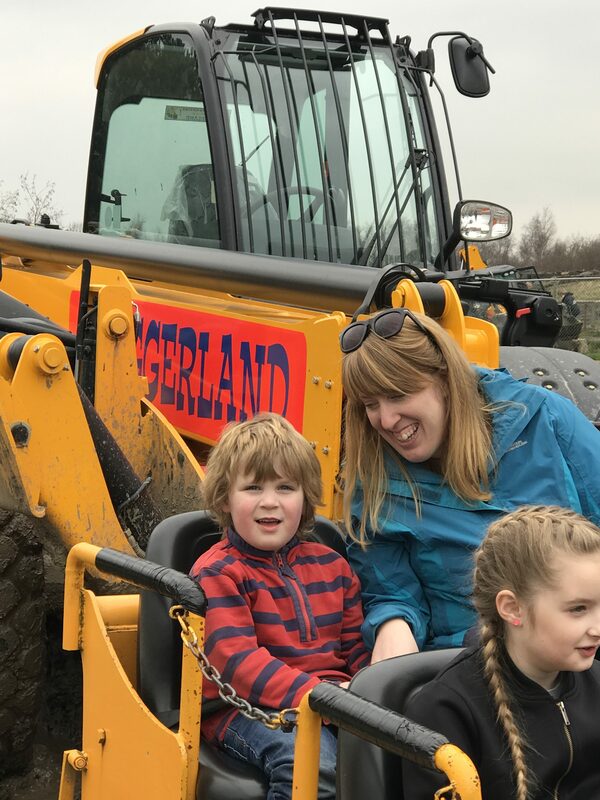 We would absolutely recommend a trip to Diggerland, especially if all your children are over 1m tall to get the best out of the day. The great thing about Diggerland there is something for all ages, I have also heard that even at peak times the queues aren’t too long, so you can really make the most of your time there. And the kids all slept well on the way home! 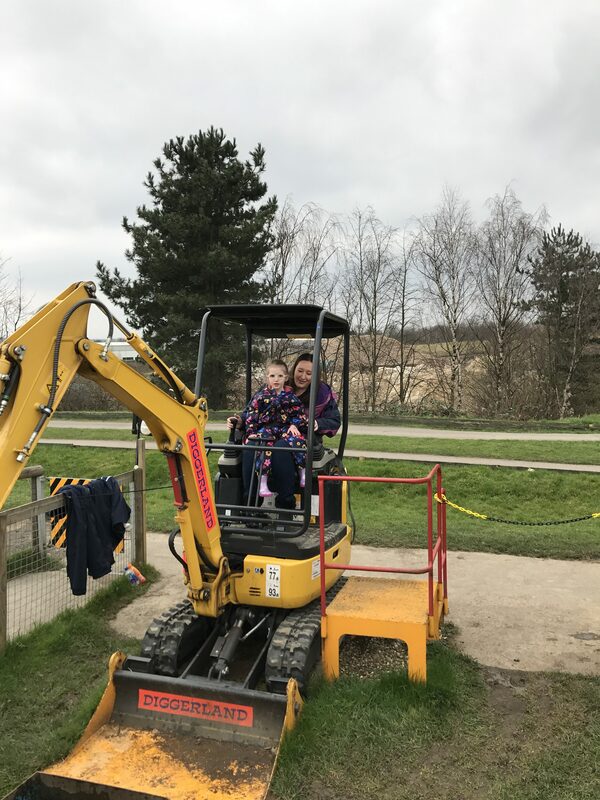 We are grateful to Diggerland for providing us with one free family ticket so that we could share our experience with you. We did pay for the other family members, and our views are our own honest opinion and reflect our personal experience on the day. 1. Measure the heights of your children before you go. 2. 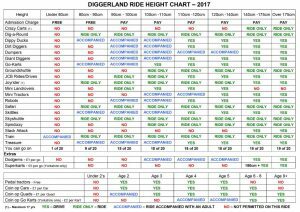 Check the height restrictions before so that you know which rides each child can go on. 3. 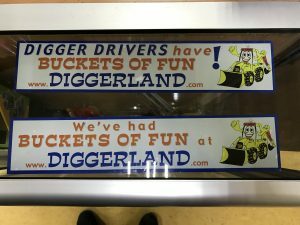 Take wellies for the kids or treat them to some Diggerland ones! 4. Take cash with you for the café, but also some coin-operated attractions if you want to use them. 5. Don’t forget to print off and take with you your Mumbler discount voucher!